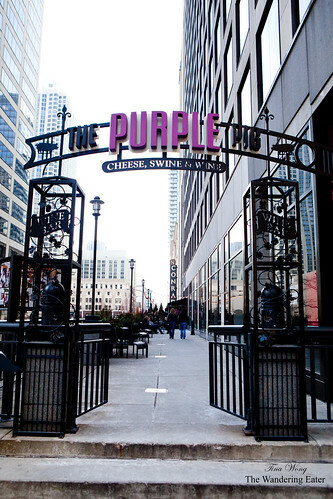 When I was doing my research for places to eat around Chicago and asking friends about this question, many mentioned The Purple Pig. Even I asked the friendly baristas and staff of La Colombe Torrefaction (Chicago) and they even said, “This place is awesome.” With both tourists and locals loving this restaurant, this should be fail-safe to have a meal here. 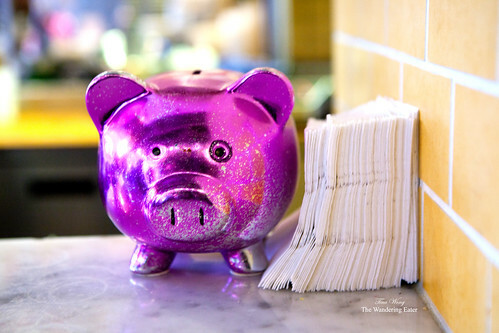 The Purple Pig is located in the neighborhood of The Magnificent Mile where it is tucked away in between the glitzy, middle to high-end boutiques and department stores and office buildings. If people do notice its tall gate that is stationed at the sidewalk, you know you’re heading toward the right place. 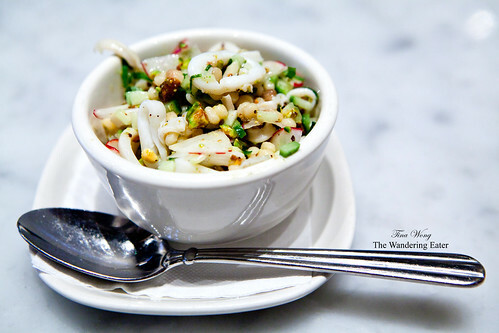 We started with their antipasto of Calamari with Fregola, Radishes, Cucumbers & Pistachios ($9). A fairly large serving for two; it’s a refreshing cool to room temperature dish of tender calamari rings, mixed with chewy pearls of fregola pasta, crisp vegetables with a liberal sprinkling of crushed pistachios. 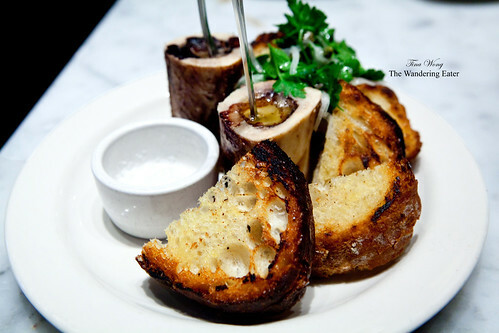 Progressing to the heavy end of the spectrum, we had the roasted bone marrow with herbs (from the “smears” section of the menu; $9). This plate of two large bone marrows, a vinegary parsley salad and large, buttered toasts. There was plenty of marrow to spare and smear on extra toasts. If you never tried marrow, it’s like unctuous, natural butter (from a cow’s bone, no less) that’s melting every few seconds if you let it stand. The piquant herbaceous parsley salad is necessary so it won’t be overkill of richness. 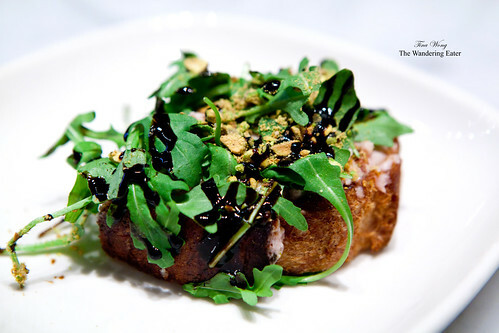 The mortadella, balsamico & pistachio spread ($8) was from a suggestion of a chef friend who lives in Chicago. (Thank you!) My friend and I were swooning over this rich spread. 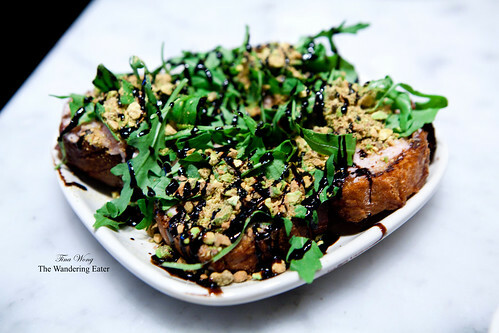 It’s creamy, sort of sweet from the drizzles of balsamic vinegar, the arugula dotting each large toast added some pleasant bitterness, and the heavy hand of crushed toasted pistachios gave it some crunchy texture. 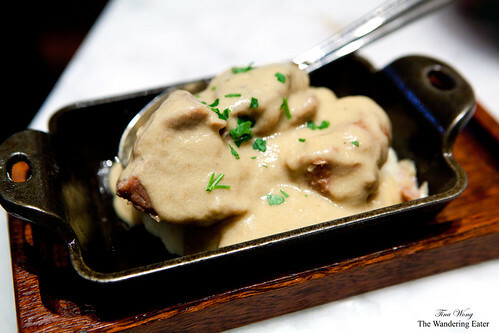 The milk braised pork shoulder with mashed potatoes ($10) was incredibly tender and silky. It melds wonderfully with the creamy mashed potatoes and the milk gravy added a wonderful, savory caramelized flavor. The final dish of crispy pigs ears with crispy kale, pickled cherry peppers and fried egg ($8) was probably the most interesting of this meal. Almost everything in this dish was fried, save the pickled peppers but it wasn’t greasy. The pig ears were crispy and were thinly sliced to make it easier to eat through. We had the presumption of breaking the perfectly fried, oozy egg and mix it in with everything. 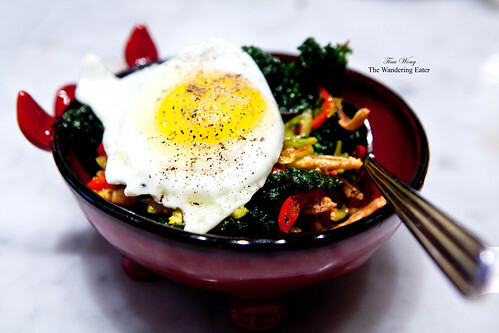 When you take a fork full of the crispy mildly sweet kale leaves, pig ears, a pickled, mildly spicy cherry pepper with everything coated in egg yolk, is probably closest to offal nirvana. I understand completely of the love this restaurant gets from locals and tourists (who really like food). This restaurant makes their own charcuterie. They incorporate offal (e.g. pig’s tails, sweetbreads, pig’s ear, pork neck, etc.) to a number of dishes and frankly, I’m pretty happy people are open to eating those formerly unwanted parts. 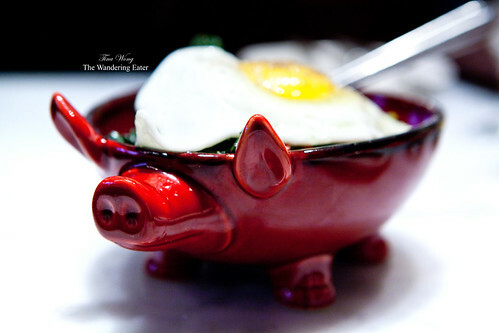 The food is delicious, creative, filling, and pretty affordable. 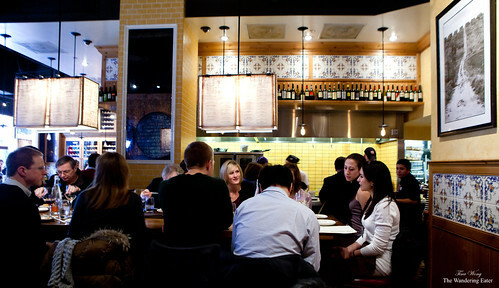 The atmosphere is convivial, warm and casual. The servers are friendly and knowledgeable of the food. 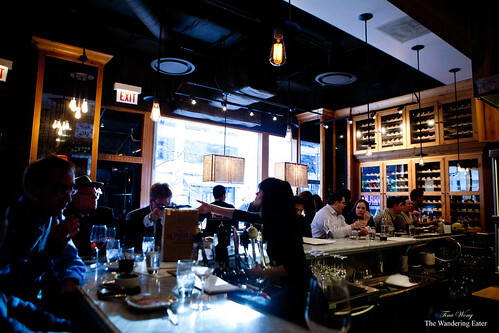 If you really like food, this is a great spot to eat in Chicago. Wow. 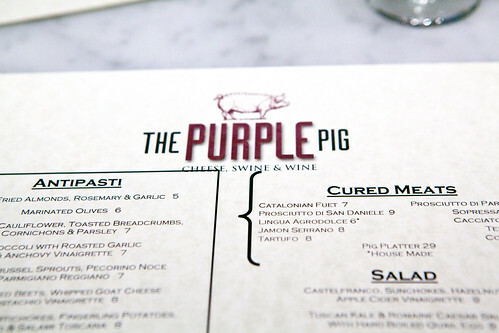 Another evidence that offal is making a resurgence in modern dining. Glad you were able to showcase the best of Chicago. Definitely a lighter experience than the Publican.